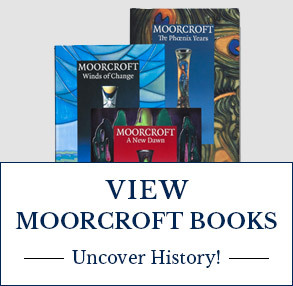 Moorcroft Pottery purchased under a distance contract (online or by phone) can be returned in accordance with your rights under the Consumer Contracts (Information Cancellation and Additional Charges) Regulations 2013 (CCRs). You can cancel your purchase and return the item if you inform us within 14 days from the date of delivery of goods. You will be responsible for the cost of returning the item to us unless the goods are damaged upon receipt. Items must be returned in their original packaging. Until the collection has taken place or the item has been returned to us, you will be required to keep the item in the same condition as it was in when delivered to you. We reserve the right to consider the condition of any item you return to us and make deductions to the refund paid to you on account of any use of the item or any damage to the product or packaging. Your refund will be processed immediately upon receipt of the item back at premises. Except as set out above, we do not offer refunds. Subject to the pottery being returned to us in person within 14 days we do offer exchanges, provided always that the pottery is returned in its original packaging and in the same condition in which it was received. However, the above requirements are subject to, and do not affect, your statutory rights, including in respect of faulty items. What are my rights under Consumer Contracts Regulations 2013? If you buy goods under a distance contract (including, for example, by phone or online but excluding any goods bought in store), under the Consumer Contracts (Information, Cancellation and Additional Charges) Regulations 2013 (CCRs), you have up to fourteen calendar days starting the day after you or your nominee has received your delivery to cancel your order without giving a reason for cancellation. If you buy multiple goods as part of one order which are delivered to you on different days, your cancellation period will end fourteen days after the day on which you or your nominee receive the last item of your order. 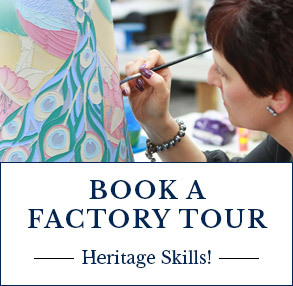 This does not apply to certain 'exceptions' specified at section 28 of the CCRs, including goods made to your specification, clearly personalised goods, for example, where an inscription has been made underglaze. During the period in which the goods are in your custody you must take reasonable care of the goods. To exercise your right to cancel you must inform us of your decision to cancel this contract by a clear statement (e.g. a letter sent by post, fax or email). To meet the cancellation deadline, it is sufficient for you to send your communication concerning your exercise of the right to cancel before the cancellation period has expired. Further details of your rights under the CCRs are available from your local Trading Standards department or Citizens Advice Bureau. If you buy goods under a distance contract (including, for example, by phone or online but excluding any goods bought in store), under the Consumer Contracts (Information, Cancellation and Additional Charges) Regulations 2013 (CCRs), you have up to 14 calendar days starting the day after you have received your delivery to cancel your order without giving a reason for cancellation. If you buy multiple goods as part of one order which are delivered to you on different days, your cancellation period will end fourteen days after the day on which you or your nominee receive the last item of your order. We will not refund the cost of returning goods unless damaged/faulty. This does not apply to certain "exceptions" specified at section 28 of the CCRs, including goods made to your specification, clearly personalised goods. This can be done via email - Important: please remember to include your Transaction number on the email. 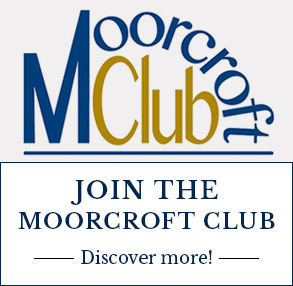 W.Moorcroft Ltd , Sandbach Road, Burslem, Stoke on Trent, Staffordshire, ST6 2DQ.